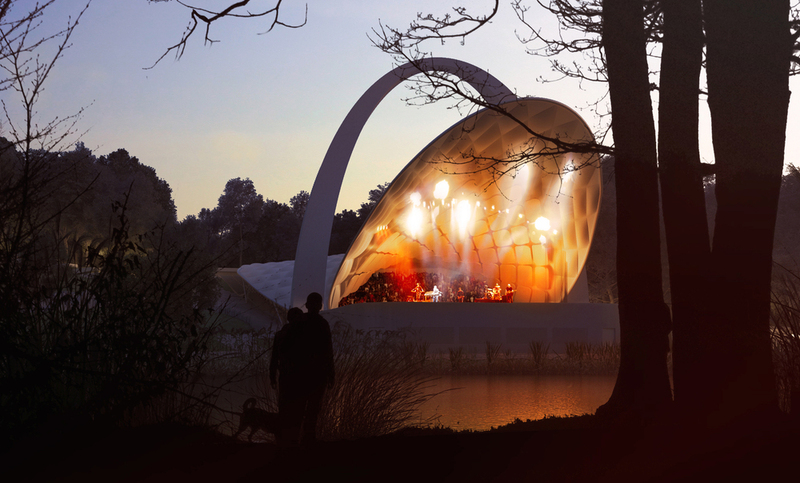 The underside of the roof, which covers the stage and front of auditorium, will enhance and project the natural acoustic for orchestral events. This is achieved by a roof which is structurally independent of the existing arch, and is formed by a curved truss which serves as the edge beam to a single cable net structure. This net supports a series of inflated fabric roof panels and suspended acoustic reflectors. Two additional trusses span the stage to support the load of the lighting grid. parks and major masterplanning projects both in the UK and internationally.